RFF Abracadabra - 2013 Jockey Club cremello stallion by Twentyfour Kt Gold out of Lissas Gold Legacy (by Glitter Please) for a Palomino foal. Shown as Just Do It. Jubilee's sire - Uno De Laubry, a Belgian Warmblood, born in the Netherlands, was an upper level showjumper earning $197,000 in prize money. Jubilee's dam - Toystergold (Lancelot/Contender) had a successful show jumping career, including a second place finish at Spruce Meadows 1.30-meter Prix des Nations in 2011 being ridden by 14 year old Abby Jorgensen. Toystergold was owned by Guy Thomas who also served as chef d’equipe for the Prix des Nations team. Story below. For most amateur riders, taking second place in a Prix des Nations competition at Spruce Meadows (Alta.) would probably rank high on a list of proudest achievements. For Sara Jorgensen, the satisfaction was doubled—her 14-year-old daughter Abby was another member of the team. Sara and Abby clocked one clear round and one 4-fault round each on their way to their second-placed finish in the 1.30-meter Prix des Nations, held June 23 during the Skyliner week of the Spruce Meadows summer tournament. Eleanor Hellman and Madison Bradshaw rounded out the NorCal team with mother and daughter. The Jorgensens spent two weeks in Canada. This year was Abby’s first time showing at Spruce Meadows. 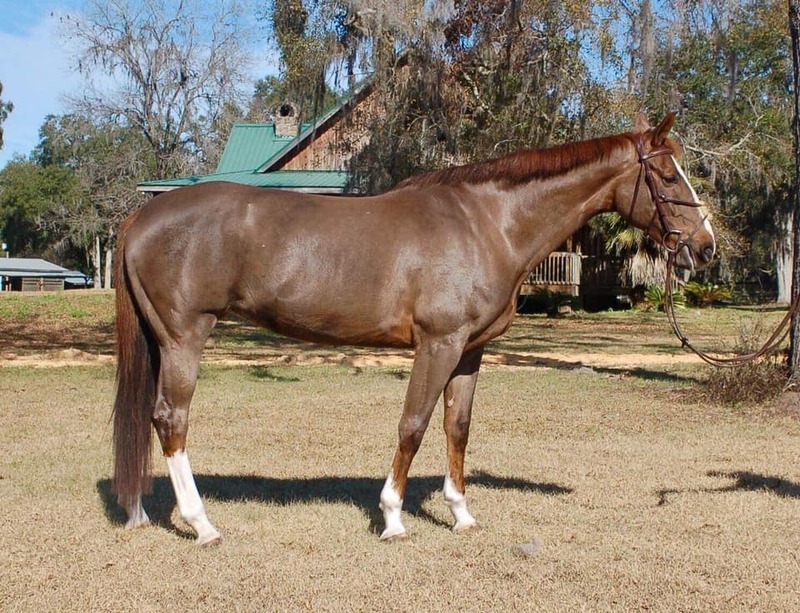 She competed Toyster Gold, an 11-year-old Dutch Warmblood (Lancelot—Oystergold) mare leased from Abby and Sara’s trainers—Guy, Butch and Lu Thomas of Willow Tree Farm. Guy Thomas also served as chef d’equipe for the Prix des Nations team. Sara, Woodside, Calif., wasn’t intending to compete alongside her daughter. 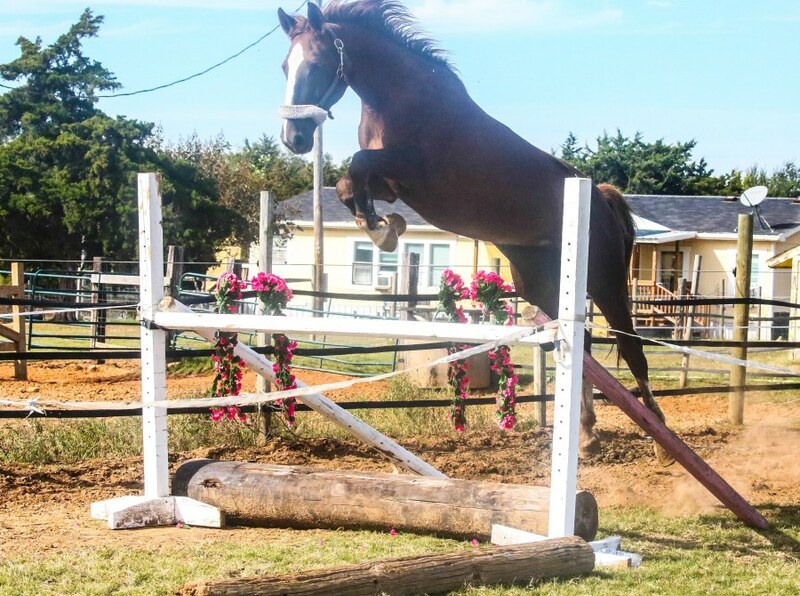 But when she sold her 1.40-meter jumper and purchased E-Star, a 7-year-old Belgian Warmblood (Quick Star—Florentina I) mare this spring, Sara found herself back in the lower levels. At the same time she was starting her younger horse out in the 1.30-meter jumpers, Abby was moving up to that height. While Sara’s experience—she used to compete in grand prix classes on a different horse—gave her the boost at the start of the season, Abby’s youth has helped her surpass her mother more recently. But there aren’t any hard feelings about that. But Sara, 50, and Abby aren’t the only riders in the family. Sara’s twin Gail Morey regularly tops amateur-owner hunter divisions with her stallion, Crown Affair. “Abby would have killed to be able to show him, but with him being a stallion, that wasn’t going to happen,” said Sara. “But Gail’s let her hack him and jump him a little, and she was just over the moon about that. While some parents who ride seriously might end up pushing their offspring into riding at a young age, Sara never took that route. Abby started riding at Willow Tree Farm when she was 9 years old. She tried the hunters for one day but quickly decided she wanted to focus on the jumpers. Sara’s son Tucker, 17, prefers soccer to horses, but he’s a regular attendee at competitions, often setting fences or helping out in the barn. Sara and Abby hope to qualify for the Prix des Nations at Spruce Meadows next year, but for Sara, the rewards of competing with her daughter go much deeper than the purely tangible signs of success.